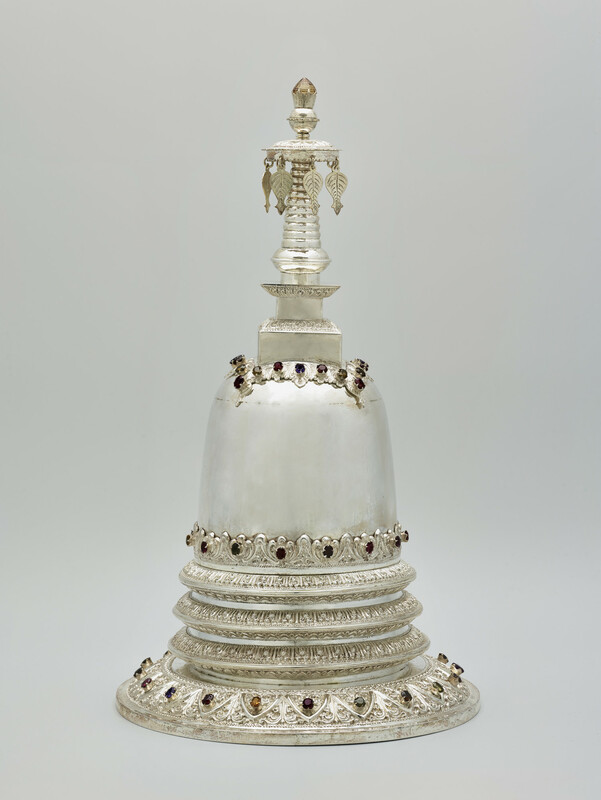 A silver model stupa (a pagoda-like structure used by Buddhists as a place of worship) from Sri Lanka, inset with 60 gemstones. The base represents morality or ethical conduct, the foundation of all spiritual practice; the cupola symbolises mental development and practice; the spire represents wisdom and understanding. In a blue fitted box.